Well done to 4 of our members who ran the Tigger Tor, the first of 2019’s Totley fell race series. A very windy 10 miles taking in 11 checkpoints in the Peak District including Higger Tor, Winyards Nick and Houndkirk starting and finishing at Sheffield Tigers Rugby Club. First CRR home was Jordan Street in 1hr 20 followed by Michelle Needham 1hr 49, Ian Brooks 1hr 51 and Richard Hind 1hr 58. Alison Preece ran the Clumber Trust 10k in a time of 52:18. Mike Brown ran a course PB at Clumber Park parkrun with a time of 20:44. 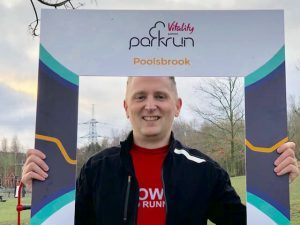 Over at Poolsbrook parkrun Giles Searby ran a new PB of 23:09 achieving a Bronze club standard and his 50th parkrun. Paul Taylor also achieved a Bronze club standard with a time of 23:30.